Venera was a series of satellites launched by the Soviet Union in the 1970s and 1980s to study Venus’ environment. It was also the program aimed at returning the first images of the surface of another planet. Over the course of the program, thirteen probes successfully reached Venus and transmitted data about our planetary neighbour, eight landed successfully on the surface, and four returned pretty outstanding images. Venera 7, the first orbiter spacecraft with a lander in tow, launched on August 17, 1970. After a four month transit to Venus, the landing probe separated the orbiter on December 15 and plunged into Venus’ thick atmosphere. After a period of aerodynamic braking, the upper hatch and heat shield released, exposing the spacecraft the elements and releasing the parachute that slowed the lander. The chute was released six minutes later; Venus’ dense atmosphere was enough to slow the lander for the final 29 minutes of its descent. It landed successfully, Data was transmitted from the surface for one second before the signal failed, but post-flight analysis of the recorded radio signal reveled that the probe had actually transmitted data for 23 minutes before succumbing to Venus’ environment. Venera 8 followed, launching on March 27, 1972. 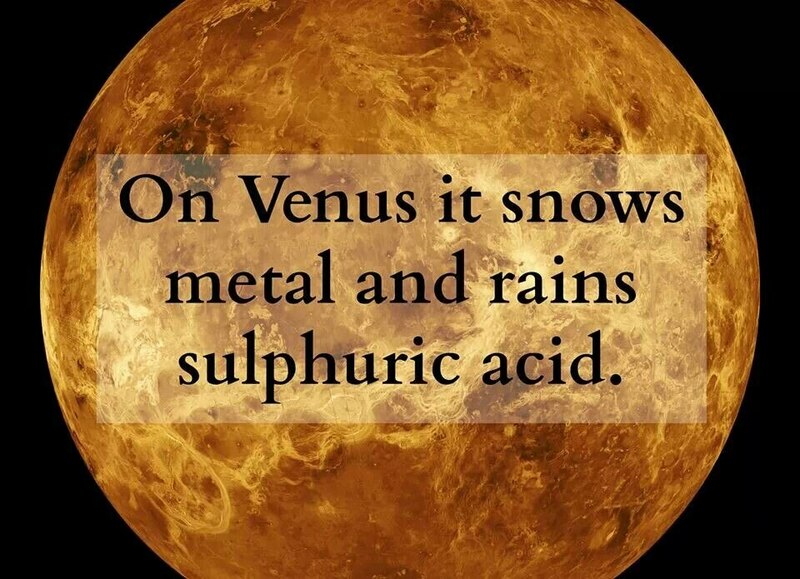 It reached Venus on July 22, 1972, and once it reached the surface it sent back data for 63 minutes. The next two missions were partial successes. Venera 11 landed on December 25, and Venera 12 landed on December 21, both in 1978. But in both cases, the lens cap issue struck again. On these two missions, both lens caps on the cameras failed to separate, so while the landers returned data, neither was able to image the surface. Venera 13 launched on October 30, 1981, and landed on Venus on March 1, 1982. Once on the surface, the cameras began taking an panorama around the lander. The spacecraft survived for 127 minutes before going silent. The view from Venera 13’s left camera. The view from Venera 13’s right camera. The full view from Venera 13. Venera 14 was the last lander mission. It launched on November 4, 1981, and landed on March 5, 1982. The lander survived for 57 minutes before falling silent. So the images from the surface of Venus might not be as stunning as the vistas we have of Mars, but when you think about the environment those landers had to survive to take those images — temperatures approaching 900 degrees Fahrenheit and an atmospheric pressure 92 times what we feel on Earth — they become pretty incredible. Isn’t it time we devoted more attention to Venus? SHOULD WE SEND MEN TO VENUS INSTEAD OF MARS?